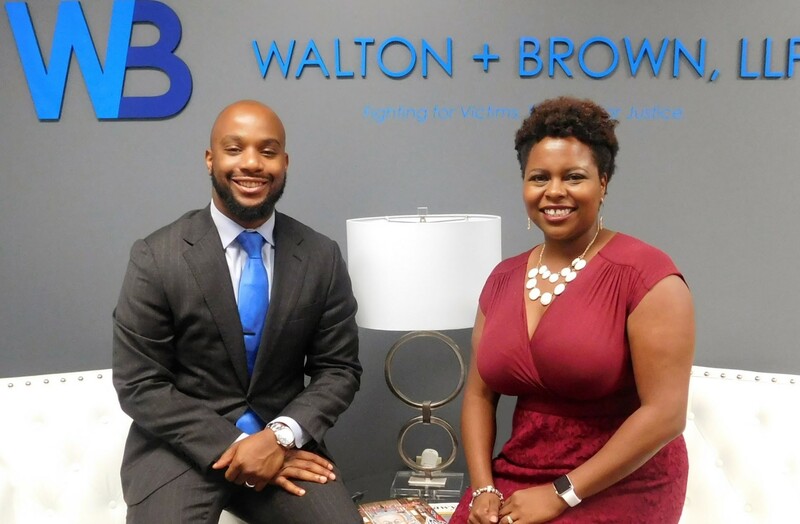 FOR IMMEDIATE RELEASE DECEMBER 7, 2017 – COLUMBUS, OHIO: Walton + Brown, LLP is pleased to announce that Attorneys Sean Walton and Chanda Brown have each been selected to the 2018 Ohio Rising Stars list. Only 2.5% of attorneys in Ohio receive this distinction. Super Lawyers, part of Thomson Reuters, is one of the most recognized legal directories in the industry. The organization's annual "Rising Stars" list recognizes and celebrates the very best attorneys either under the age 40 or who have been practicing for less than 10 years. Super Lawyers, is a research-driven, peer influenced rating service of outstanding lawyers who have attained a high degree of peer recognition and professional achievement. Super Lawyers selects attorneys using a patented multi-phase selection process that includes a statewide survey of lawyers, an independent research evaluation of candidates and peer reviews by practice area. Each candidate is evaluated on 12 indicators of peer recognition and professional achievement. The objective is to create a credible, comprehensive and diverse listing of outstanding attorneys that can be used as a resource for attorneys and consumers searching for legal counsel. The Super Lawyers lists are published nationwide in Super Lawyers Magazines and in leading city and regional magazines and newspapers across the country. Sean and Chanda’s primary areas of practice include personal injury, wrongful death, civil rights and employment discrimination. Sean and Chanda both have strong service-oriented backgrounds and have found themselves working in areas of law that allow them to fight for victims of tragedies and discrimination.